Also, for those of you who are fans of Amish fiction. I will be a guest on Amish Wisdom, Suzanne Woods Fisher’s wonderful radio/podcast show. She does an awesome job of interviewing guests, both in fiction and non-fiction alike, besides being an award-winning writer herself. Please tune in on Thursday Dec. 6th, if you have a chance. I will be posting a direct link to tune in anytime afterward as soon as it’s available. In the meantime, enjoy your day wherever you are. Don’t worry too much about the upcoming holidays. Things will fall into place as they usually do. Wherever you are in getting ready, take heart–you’re way ahead of me! I just read an interesting article in Publishers’ Weekly magazine written by a friend of mine, Suzanne Woods Fisher. Suzanne is personally involved in the Old Order community on a regular basis. She reports that there is virtually no illiteracy in the Amish community, despite the small parochial schools, limited teaching materials and teachers with eighth grade educations. (however, these dedicated women train with veteran teachers and continue their own educations despite the lack of college degrees) Most Amish develop a love of reading which continues to serve them throughout their lives. Without the distraction of video games, TV and the internet, they read non-fiction and fiction alike. A few even pick up Amish romances but most don’t find books about them that intriguing. Suzanne quoted John Hostetler in Amish Society (in part) “On several standardized tests, Amish children performed significantly higher in spelling, word usage, and arithmetic than a sample of pupils in rural public schools.” As Suzanne writes in the article, maybe that will encourage more parents to turn off the TV and read to their kids. 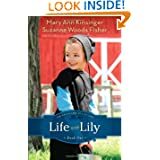 Please enjoy this guest post from Suzanne Woods Fisher and enter to win a copy of Life with Lily! We have three to give away. I’ve often heard that there is no better childhood than an Amish one. Mary Ann Kinsinger had such a childhood. She was raised in a happy Old Order Amish home in western Pennsylvania. A born storyteller, Mary Ann started a blog, A Joyful Chaos, as a way to capture the joy of her childhood. A Joyful Chaos quickly gained a following among those who want to know more about the Amish. Here was a blog of a woman who had recently left the Amish church, but without bitterness or rancor. Just the opposite. Mary Ann’s blog captures what readers are looking for in Amish fiction books: charming family memories, a caring community, a collection of fun, quirky characters, all cast in a rural setting. And yet it’s real! All true. Fast forward a year or two. My friendship with Mary Ann continued to grow. So did her blog’s presence: A Joyful Chaos was receiving over 30,000 hits a month. It caught a mention in The New York Times. Mary Ann started a Facebook page. Remember, this was a woman who had stopped her formal schooling at eighth grade! But her education never stopped. The Lily books are more than just another good children’s series—they’re a little slice of America, a peek into the world of a happy Amish family, fun and foibles. I have a hunch that children of all ages, 5-95, will quickly grow attached to Lily. But do you know what has surprised me the most about writing these books? Lily’s parents, Rachel and Daniel Lapp. Based on Mary Ann’s own parents, this young couple is the quintessence of wisdom and maturity. In Book 1, you’ll read a nail biting story when a difficult neighbor insists the property lines are incorrect and aims a shotgun at Lily’s father. Papa responds by…oh…I won’t spoil it. I’ll let you find out for yourself. Life with Lily, book 1 in ‘The Adventures of Lily Lapp’ series, releases on October 1st and will be available wherever books are sold. 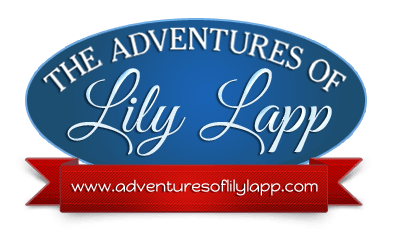 Lily has a website, www.adventuresoflilylapp.com, that will be interactive for children: coloring pages can be downloaded, ask Lily a question, get recipes from her family, information about Lily’s parents and brothers and friends. Mary Ann Kinsinger can be found at her blog: www.AJoyfulChaos.blogspot.com. She lives in the country in western Pennsylvania, not far from where she grew up. And she loves to hear from readers! Suzanne Woods Fisher is a writer of bestselling fiction and non-fiction. She is the host of Amish Wisdom, a weekly radio program on toginet.com, and writes a bi-monthly column for Christian Post, called “Plain Talk about the Amish.” Suzanne enjoys connecting with readers and can be found on-line at www.suzannewoodsfisher.com. I hope fans of Amish fiction will click on the link below to tune into my interview on “Amish Wisdom”. This is a podcast show with hostess, Suzanne Woods Fisher, that runs from 5:00 to 6:00 pm Eastern time zone on Toginet radio. You can click on past shows in the archives to catch up with those you missed. Enjoy! Also, please click on this link to enter a contest to win one of five free books, my latest release.